Being gay has always been a significant part of my life. Most people who know me today would agree with this statement, but before college, I was quite different. I grew up in a household with two moms and I did not come out until my second year of high school because being gay felt so normal and my sexuality was rarely on my mind. But this all changed my sophomore year when the girls’ and boys’ lacrosse teams painted a homophobic message on a boulder outside of a class building. This left me feeling at odds with other athletes, as well as the greater community at school. The judgment that comes with being a gay high school student is oppressive, no matter if you’re an athlete or not. But finding a network that supports you—something I wish I had done—can make those four years so much easier. For me, looking for an LGBTQ group outside of my high school would have helped me immensely; GLAAD or another youth outreach organization, for example, would have pushed me to love myself sooner. Today, the landscape is different. There are so many out athletes to look to—from Abby Wambach and Megan Rapinoe on the U.S. women's’ soccer team to Julie Chu on the U.S. Ice Hockey team and Seimone Augustus on the Minnesota Lynx. I believe these role models will create change with how we treat youth sports and LGBTQ athletes in high school. Even having these figures to look toward in college has helped me to learn how I want to present myself as an out gay athlete. GLAAD Campus Ambassador, Halley Fine. Image credit: Colby College. My teammates in college not only accept me as a lesbian, but have opened up about their own experiences with sexual orientation. Most gay female athletes I know who are not out to their teammates do so for personal reasons, but not out of physical fear. In contrast, the gay male athletes I know in college experience higher levels of judgment and pressure from their teammates and other men to appear masculine, traditional, and heterosexual. This is a remarkable double standard. Recently, I read an article in The New York Times about Andrea Barone, a gay referee in several minor hockey leagues. Barone’s story describes his off and on relationship with hockey throughout his referee career as an “abusive relationship,” stating in a letter that, “First I hoped for change, it never came. Then I worked for change, it never happened. Finally, I forced for change, but I was the one who had to change.” Throughout his time as an AHL and ECHL referee Barone met every roadblock, but this did not hinder his desire to speak up against anti-gay language in his campaign #NeverAlone and through his own desire to join GLAAD’s advocacy team. Witnessing the advocacy of out athletes and celebrities like Hayley Kiyoko, Ruby Rose, Kate McKinnon, and Ellen DeGeneres, I now want to be more outspoken about my sexuality. I want to reach out to other gay athletes so that they know it is okay and that people will accept them. I decided in college that I did not want to keep myself isolated and I soon found myself surrounded by wonderful people—gay and straight alike—and some in groups that I would not have interacted with in high school. I’ve joined my college’s version of a GSA organization and I’ve pushed myself to socialize, all the while staying true to who I am. Finding people who related to me elevated my life after high school. I made friends with other athletes, gay athletes, queer people, and students I wouldn’t have thought of as potential friends before. Whether you are still in youth sports or an upper-tier league, there are people who know exactly what you are going through, and once you take that first step and reach out, it does get better. Establishing a social network that you can relate to will push you to embrace many parts of your identity, gay and athlete included. Halley Fine is a GLAAD Campus Ambassador and junior at Colby College studying biology. 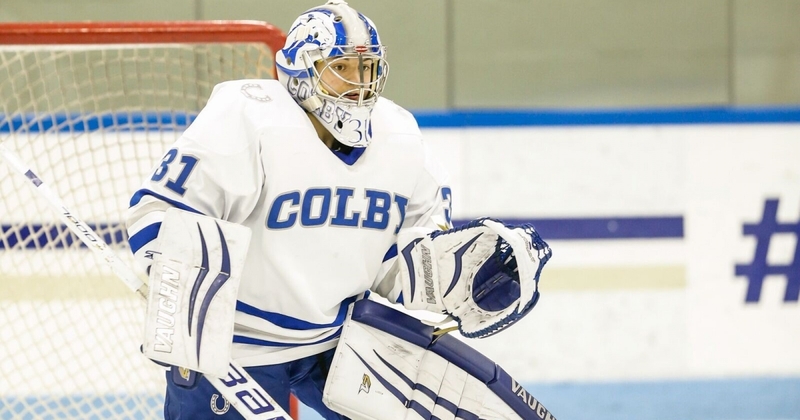 She is a member of Colby's LGBTQ club The Bridge and the Women's Ice Hockey Team.